Already a Member? Our member roster and archives can be found on our members-only website at https://www.bigtent.com/groups/sfpom. There you can also find our newsletter archives, event photos, resources, important announcements, complete SFPOM board contact list, and much more. Member Profile Don't forget to update your personal profile. Update your contact information and new additions to your family. Nobody can access your personal information but you, so please keep your information up-to-date. Events Calendar can be found here. Although all Club activities are for members only, those wishing to join SFPOM may attend a New Parents Meeting or a General Meeting prior to joining. 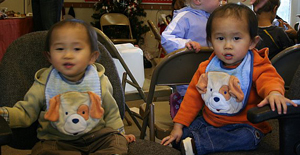 The San Francisco Parents of Multiples Club (formerly San Francisco Mothers of Twins Club ) is a non-profit organization formed to offer support to parents and expectant parents of multiples. We are a volunteer organization run cooperatively by and for its members. We have over 400 members residing in San Francisco, Marin, San Mateo, Santa Clara and Alameda Counties. SFPOM's goal is to provide our members and their families with friendship, support and information on parenting multiples. 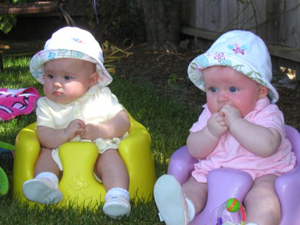 We know first hand the challenges of raising multiples and we are here to share what we know and to support one another. Our members have access to our email Listserv. The Listserv message archive contains a wealth of information on everything from nanny and doula recommendations, to breastfeeding, to sleep schedules, to preschools, and everything in between. This website will help you find what you need to know about SFPOM. Whether you are looking for information on our Programs & Activities, advertising in our monthly newsletter Multiplicity, information on bi-annual Consignment Sale or How to Join SFPOM, you will find it here.